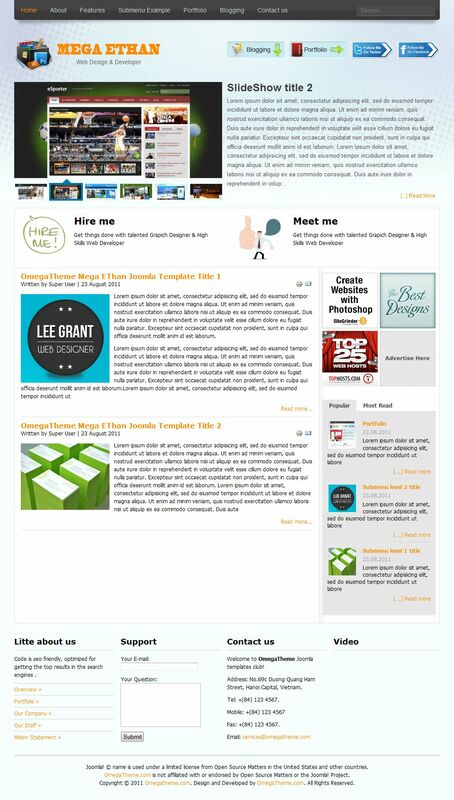 OT Ethan is the second free template for Joomla 2.5 Joomla developers OmegaTheme released in August 2011. This is a beautiful pattern, with simple design made in light colors. Template is powered by Solid Framework, a flexible modular design, with over 13 module positions and is fully compatible with the version of Joomla 2.5.